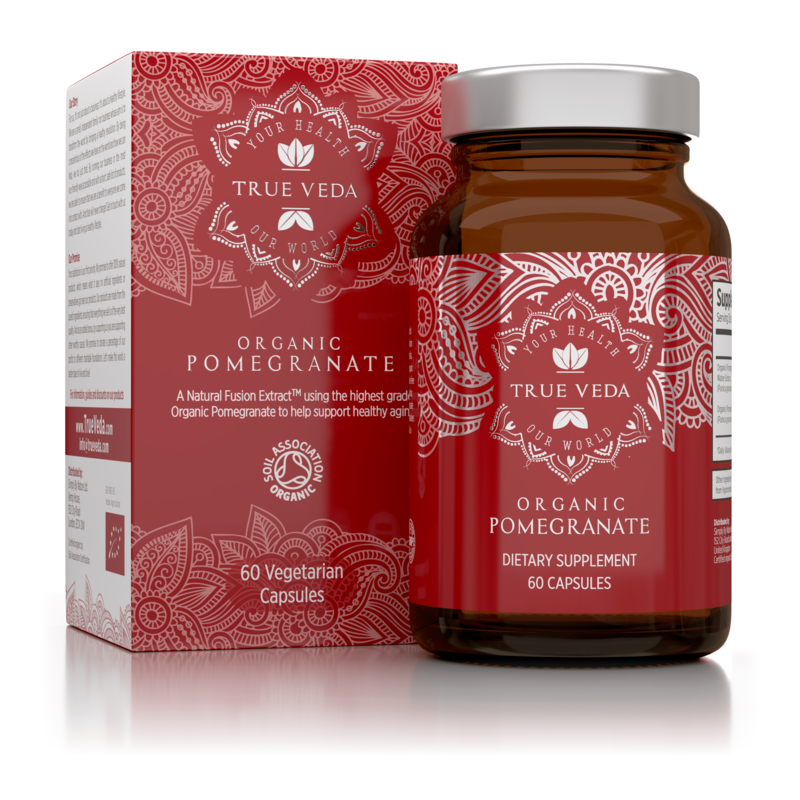 Juices can be high in sugar and it’s difficult to drink or eat enough pure pomegranate to really take advantage of the fruit’s nutrients. 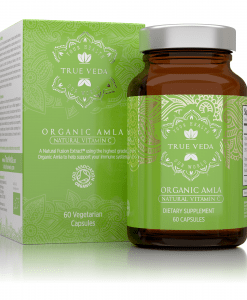 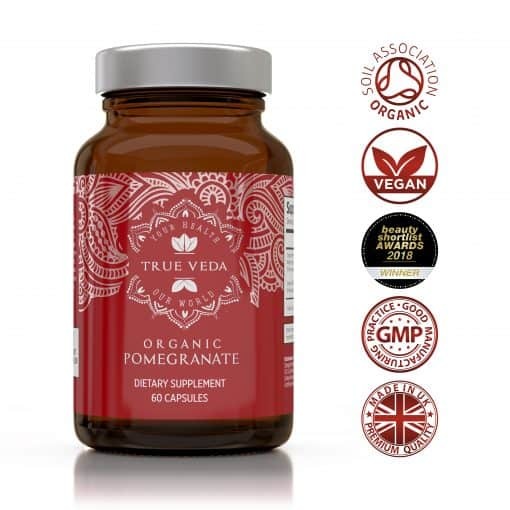 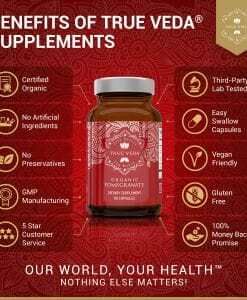 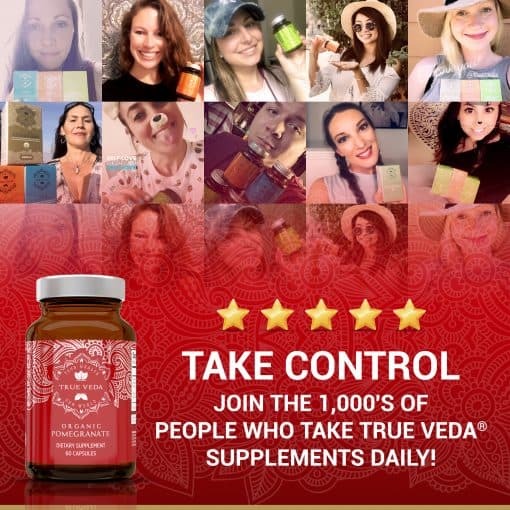 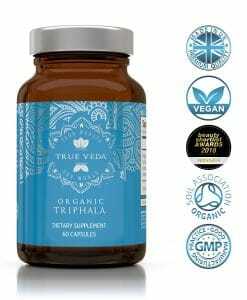 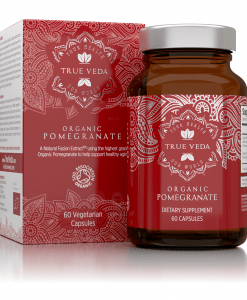 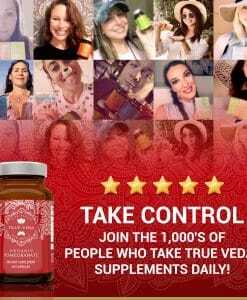 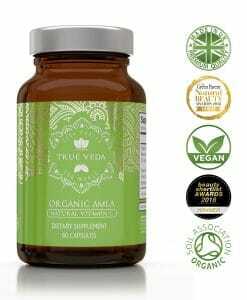 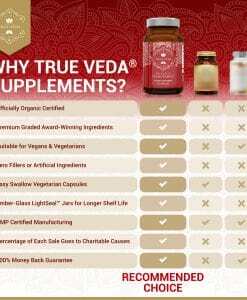 Our True Veda Pomegranate vegetable capsules are unique as they contain Punicalagins. 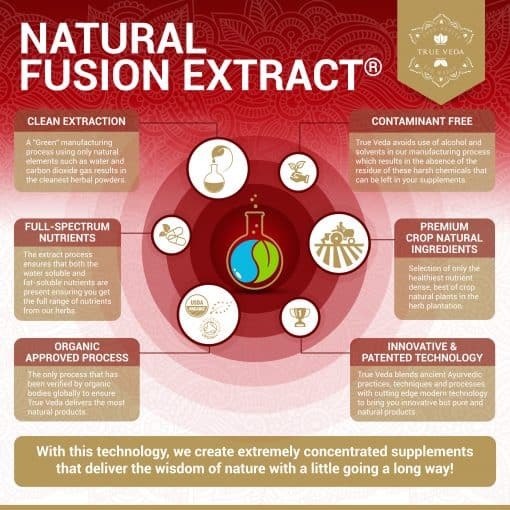 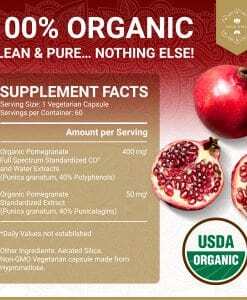 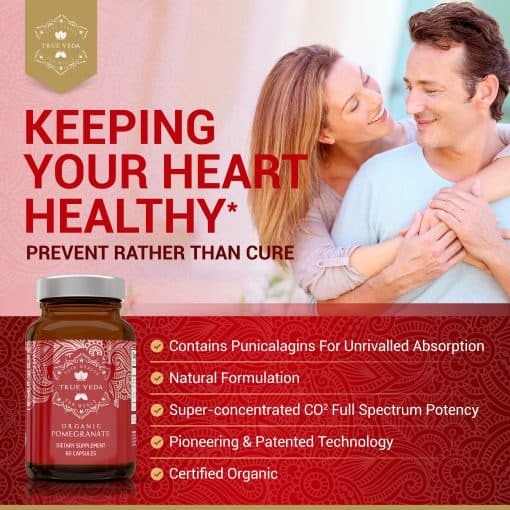 Punicalagins are extracted in a natural way from Pomegranate and are water-soluble, highly bioavailable and absorbed by the body at a rate of up to 95%! 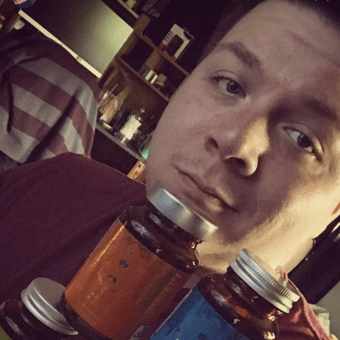 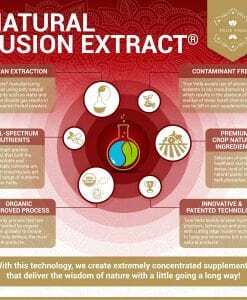 No other supplement gets close! 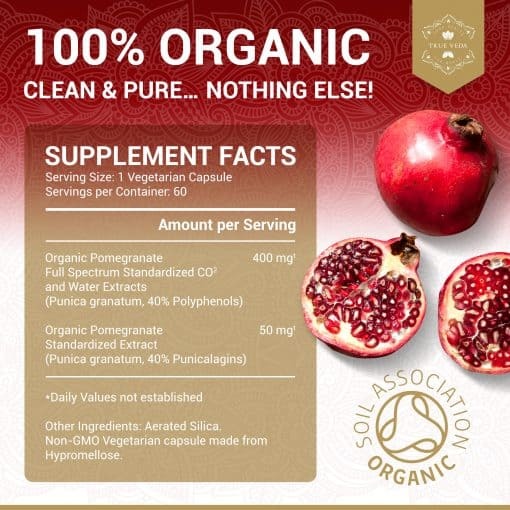 Punicalagins are unique pomegranate compounds which are native within pomegranate at high concentrations. 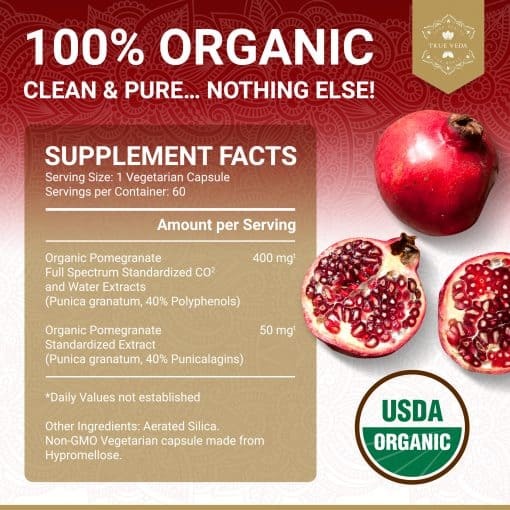 When punicalagins break up into ellagic acid during processing and storage of juices and extracts, their ability to offer benefits is wasted. 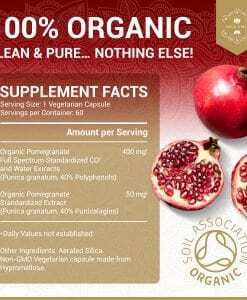 But, when punicalagins are preserved and then consumed, they can offer the researched benefits of ellagic acid, which can only be absorbed in this way. Punicalagins are 100% water-soluble, highly bioavailable, and supported by safety data. 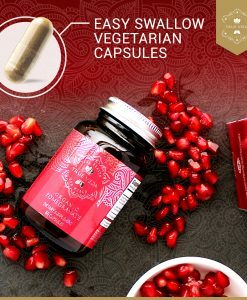 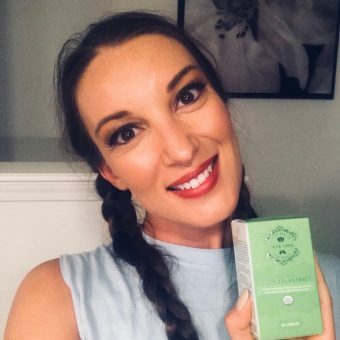 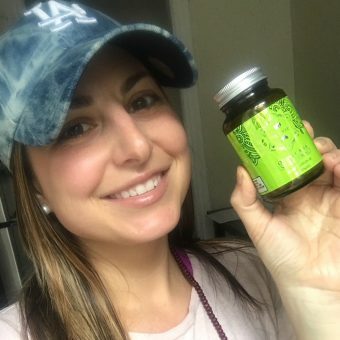 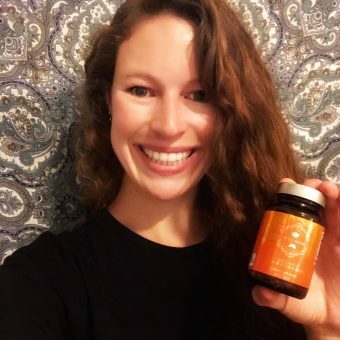 They are shown to possess a high absorption rate up to 95% and punicalagins offer a powerful kick on their own to really help and nourish your body. 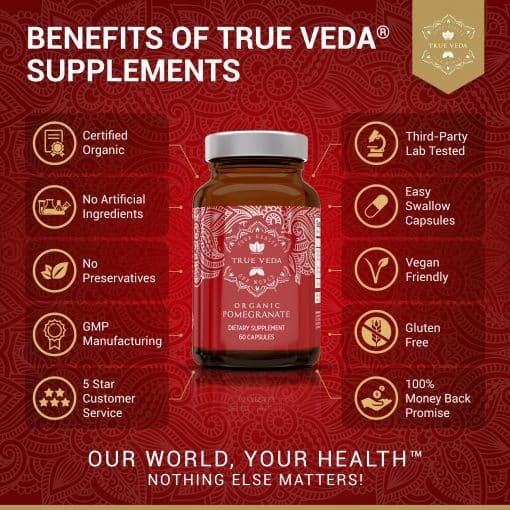 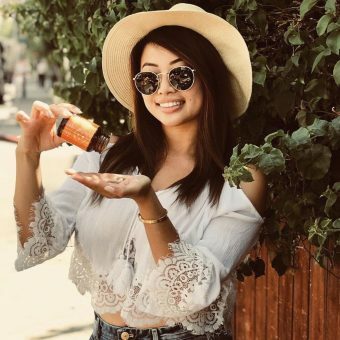 And best of all – it’s all natural! 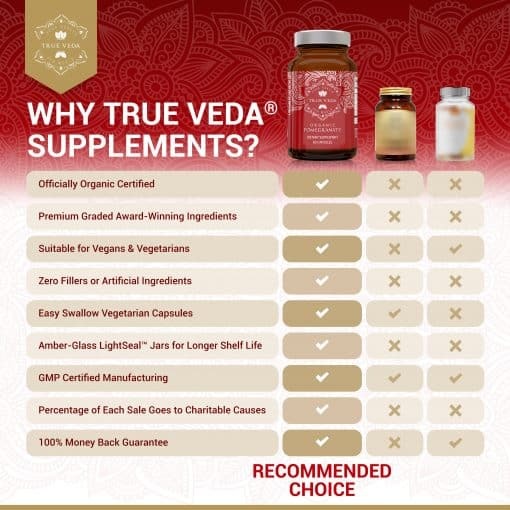 We are an ethical family run business who are big health and wellness advocates. 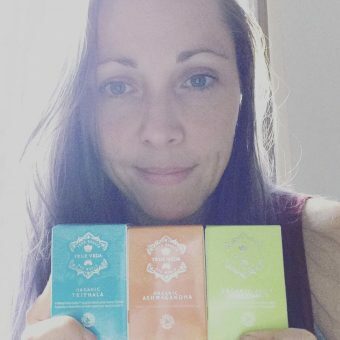 A portion of our profits are donated to numerous charities and good causes. We are currently supporting Akshaya Patra Foundation so for every purchase made we will donate a meal to a child in India helping us bring unlimited food for education CLICK HERE to find out more. 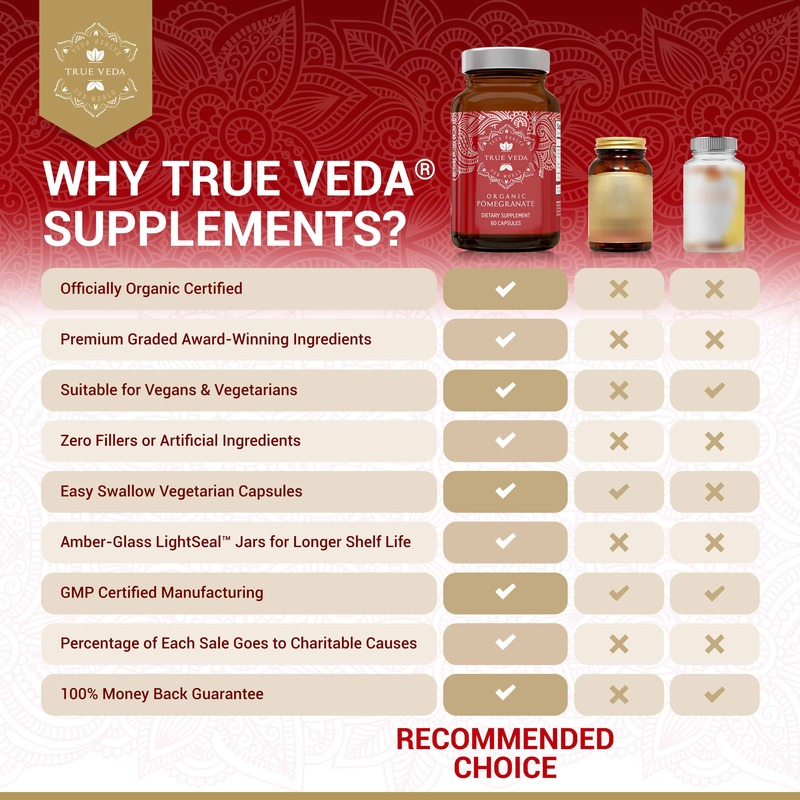 Our company ethos which we live and breathe defines the two most important things for us… “Our World, Your Health” . 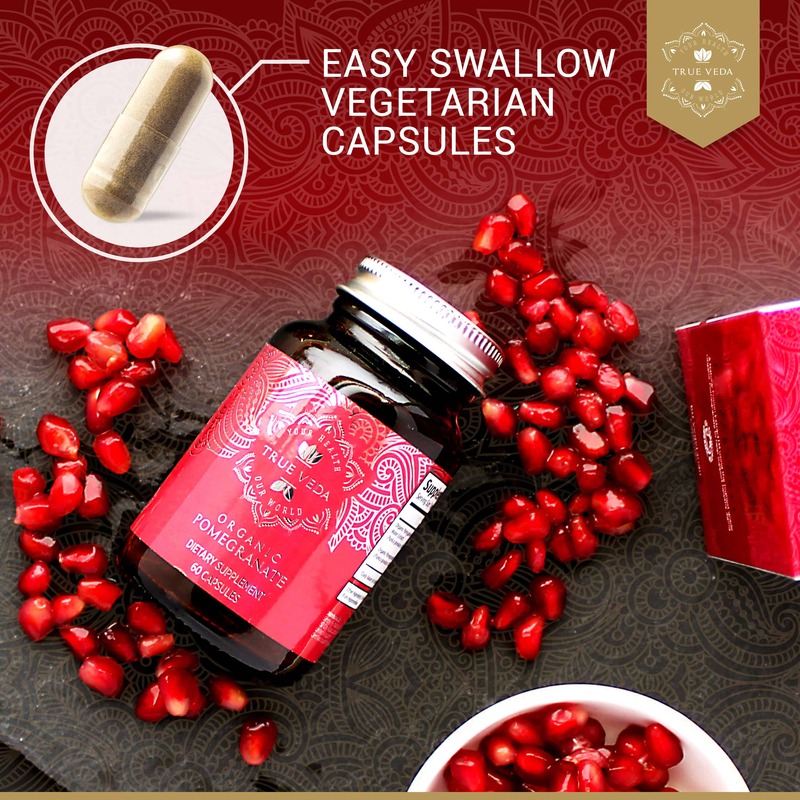 Start living your healthy lifestyle…ORDER NOW!